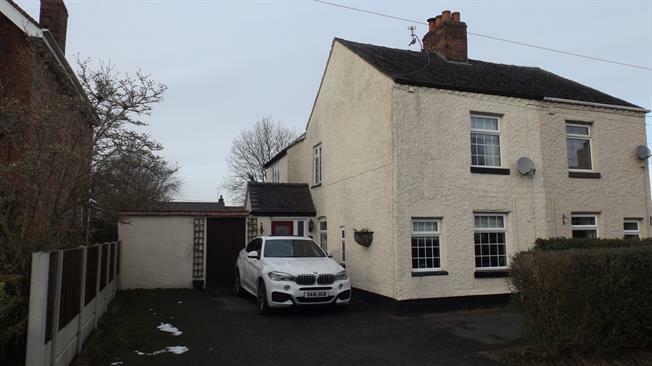 3 Bedroom Semi Detached House For Sale in Crewe for Asking Price £189,995. The beautiful presented semi detached cottage, offers versatile living accommodation that would suit any growing family. The accommodation to the ground floor comprises of entrance porch, good size lounge through dining room with open fire, kitchen diner and conservatory. To the first floor there are three well proportioned bedrooms and a modern family bathroom. Externally there is a driveway to the front providing ample parking with a delightful garden to the rear with a garden room/home office. There has been planning permission approved for a two storey side extension with rear single storey extension. Planning referenced 17/3327N..